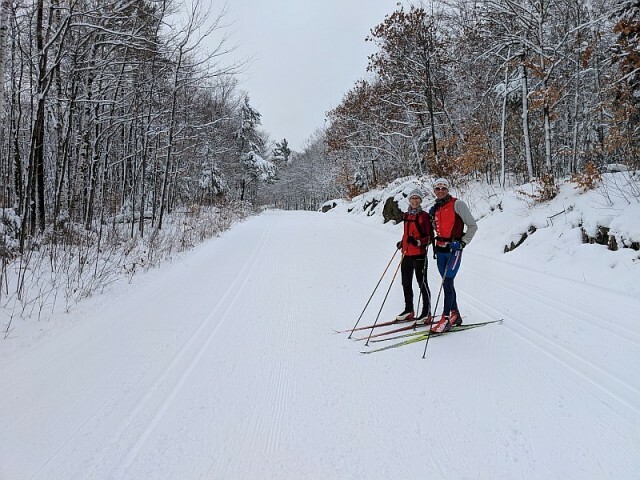 Beautiful day for a ski, excellent by Nov. standards! While it rained and melted in town the park received more wet snow and hovered around 0C. There was excellent fresh grooming today. 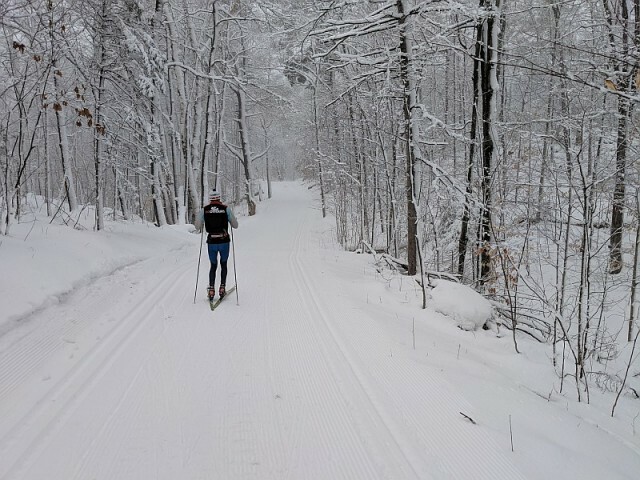 Parkways were firm and set for classic and skate. 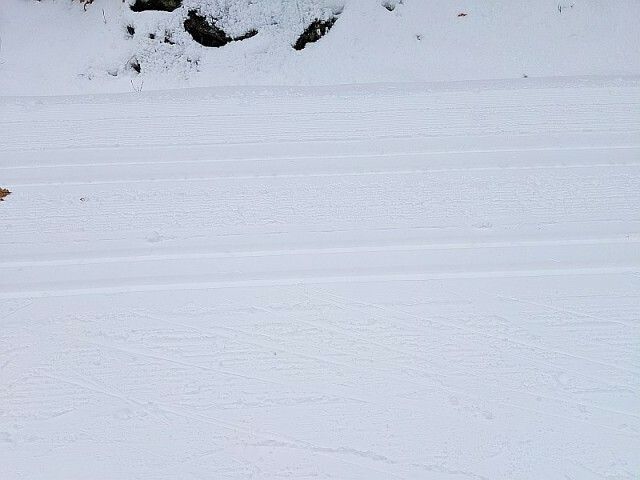 Classic tracks were glazing, which would be tricky waxing. Ridge road, 24 and 1 towards McKinstry were also packed and tracked and in great shape. These were softer than the parkways but the snow was glazing and quite fast for skate. 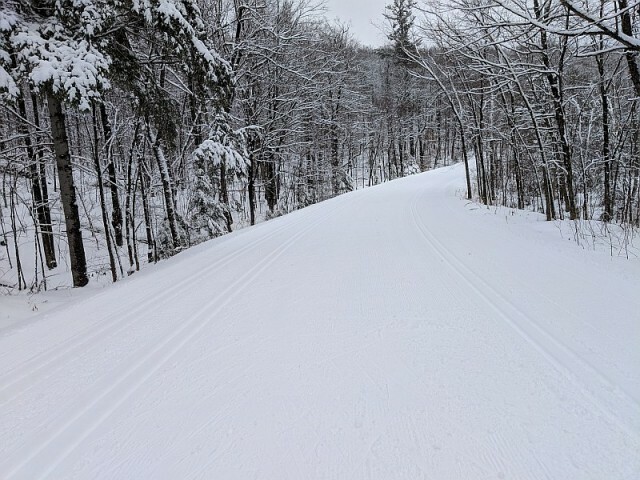 Also skied 1B, which was snowmachine packed. 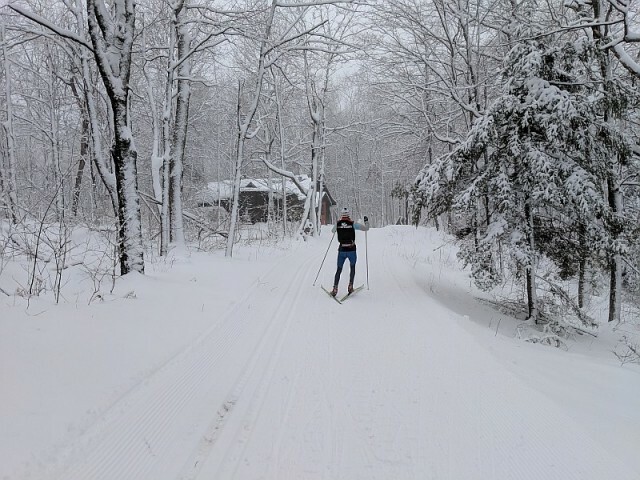 Its narrow, there are thin spots but its skiable and fun.